Harris believes it will play a role in the AT&T proposal that is expected to be awarded later this week with the 25-year contract to build and maintain FirstNet’s nationwide public-safety broadband network (NPSBN), according to a Harris executive. Editor’s note: This story has been updated with information from Harris that the company expects to be part of the AT&T’s FirstNet proposal after responding to a request for information from AT&T, but its only formal teaming agreement is with the Rivada Mercury consortium. 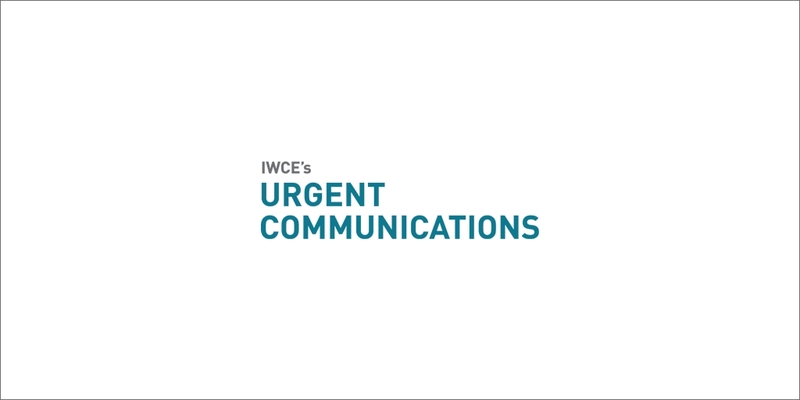 IWCE’s Urgent Communications apologizes for any confusion or inconvenience the previous article may have caused. “Harris actually participated in all three bids for the [nationwide FirstNet contract],” Harris CTO Dennis Martinez said Monday during an interview with IWCE’s Urgent Communications. “We are included, I believe, in all three proposals. We obviously had a unique role in the Rivada Mercury consortium , where we had expanded role relative to the other bids. On Tuesday, FirstNet board members authorized FirstNet CEO Mike Poth to finalize the 25-year NPSBN contract, which Poth said would be awarded this week. All sources indicate that the award will go to AT&T, which led the lone bidding team that the procurement evaluation team deemed as being worthy of the final “competitive range” stage. Today, Martinez clarified that Harris has a formal teaming agreement with only one bidding team vying for the nationwide FirstNet contract: the Rivada Mercury consortium. In terms of the other known bidding teams—led by AT&T and pdvWireless, respectively—Harris responded to request for pricing and other information from both, he said. There is a difference between being a team member on a bidding team and being part of a proposal, Martinez said. Martinez said he remains optimistic that Harris will play a role in the FirstNet offering. “I expect that we’re going to perform and deliver the goods and services that we offered to AT&T, and perhaps beyond that,” Martinez said. “I think that this is just the beginning of a long journey, and my guess is that FirstNet and AT&T are going to need the support from industry players, particularly those that have channels to market and have teams that can execute and implement public-safety projects. Previously, Harris had not acknowledged publicly its participation on the AT&T bidding team or its participation on the bidding consortium led by pdvWireless, which was eliminated from the procurement consideration last fall. Harris is a high-profile member of the Rivada Mercury bidding team that filed an unsuccessful lawsuit in protest of its exclusion from being considered in the “competitive range” stage of the procurement. AT&T emerged as the presumed winner of the nationwide FirstNet contract after U.S. Court of Federal Claims Judge Elaine Kaplan issued rulings against the Rivada Mercury complaint. Rivada Mercury has not announced whether it will pursue an appeal. Rivada Networks—the lead company in the Rivada Mercury consortium—has indicated that it plans to bid on contracts with states and territories that pursue the “opt-out” alternative that allows states to build and maintain the LTE radio access network (RAN) within their borders. Martinez noted that the Rivada Mercury consortium is a “special-purpose vehicle” established solely to pursue the comprehensive nationwide FirstNet contract. With “opt-out” contracts focused on building the RAN—something Harris would not have done, even as part of the Rivada Mercury consortium—it is questionable whether Harris would have a role in a pure RAN-buildout scenario for an opt-out state, he said. Harris has not participate in any state request for proposals (RFP) procurements to date, Martinez said. If a state or territory that is pursuing the “opt-out” alternative has a more comprehensive offering that includes certain products and services in addition to the RAN deployment, Harris would consider participating in the procurement—particularly in states where Harris already has a relationship with the first-responder community, Martinez said.